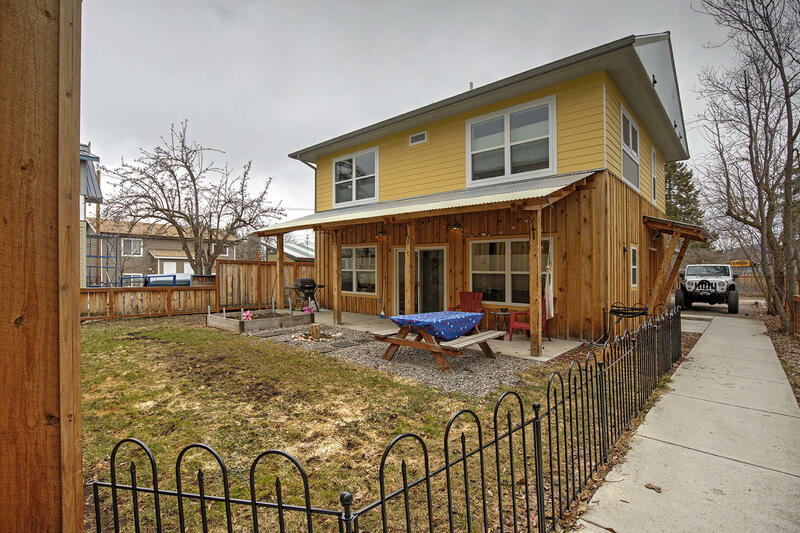 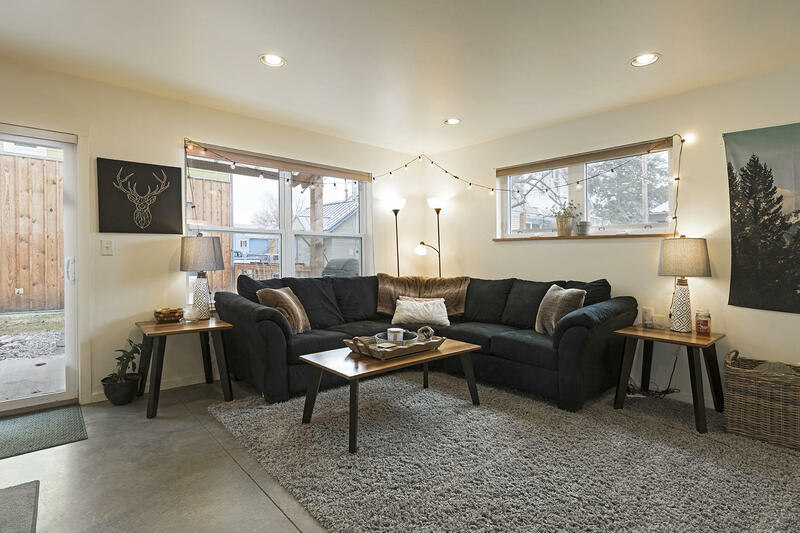 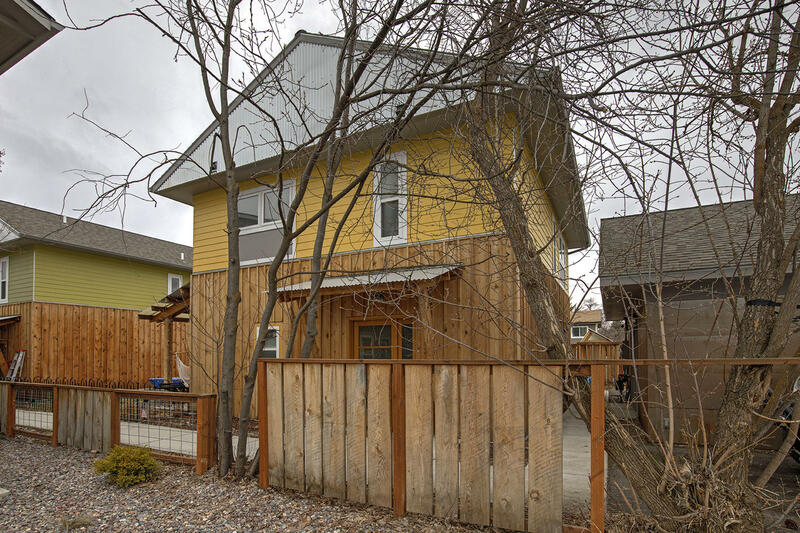 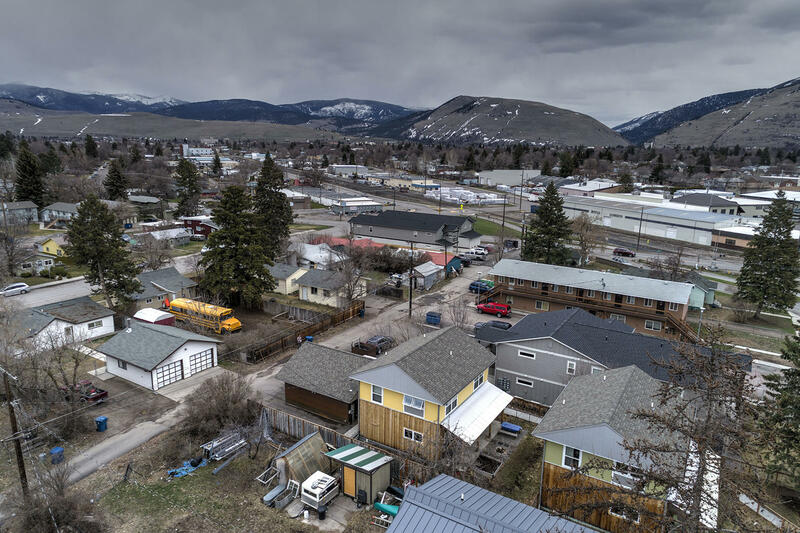 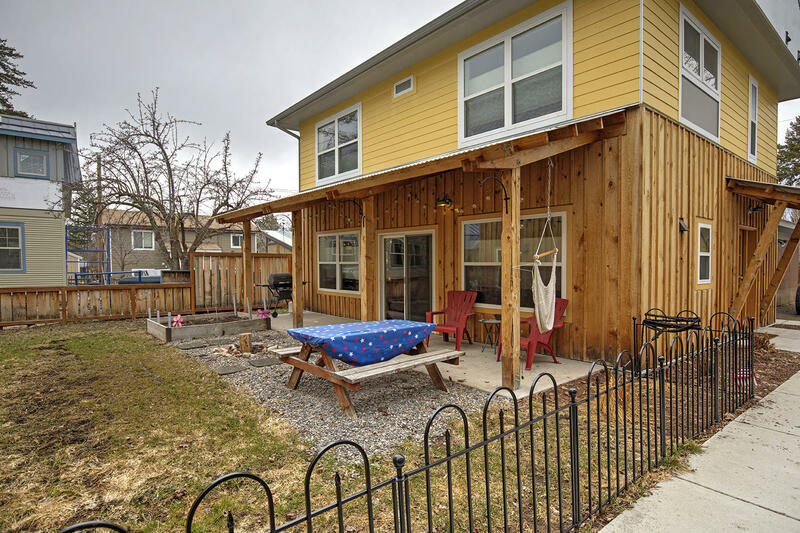 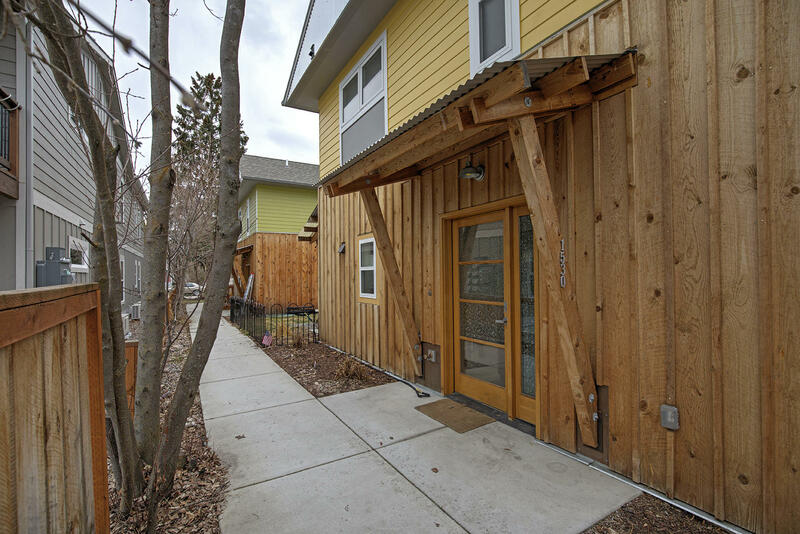 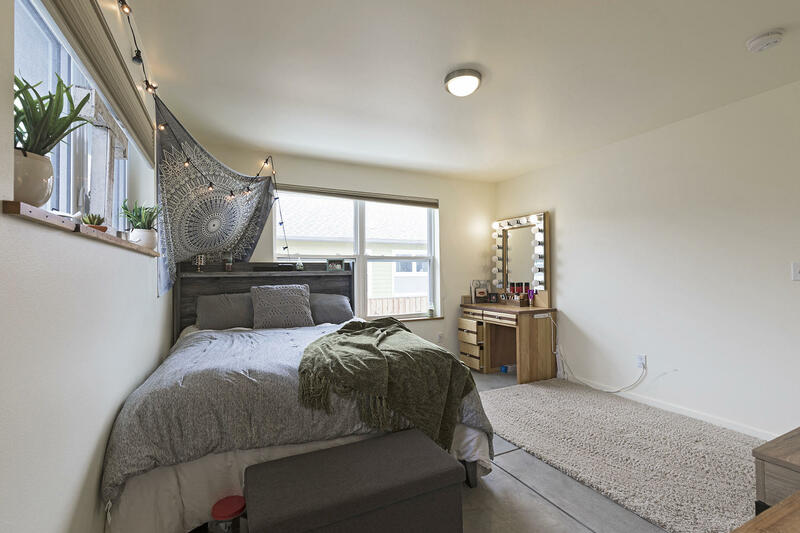 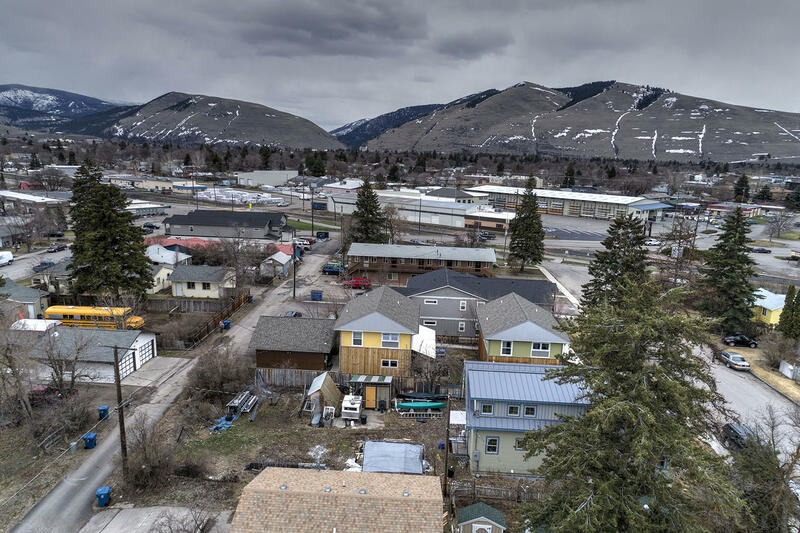 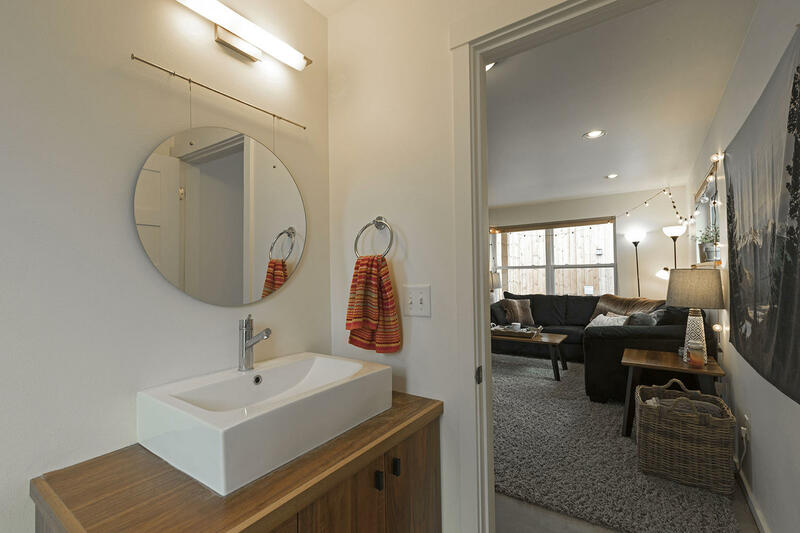 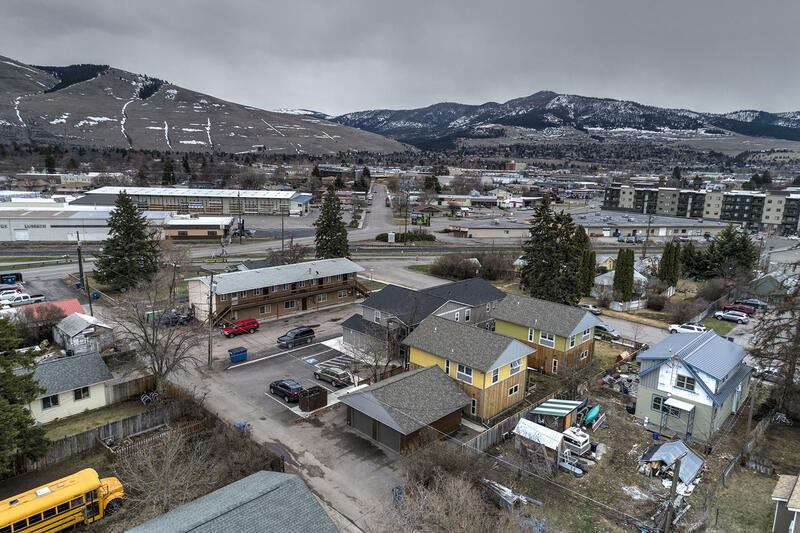 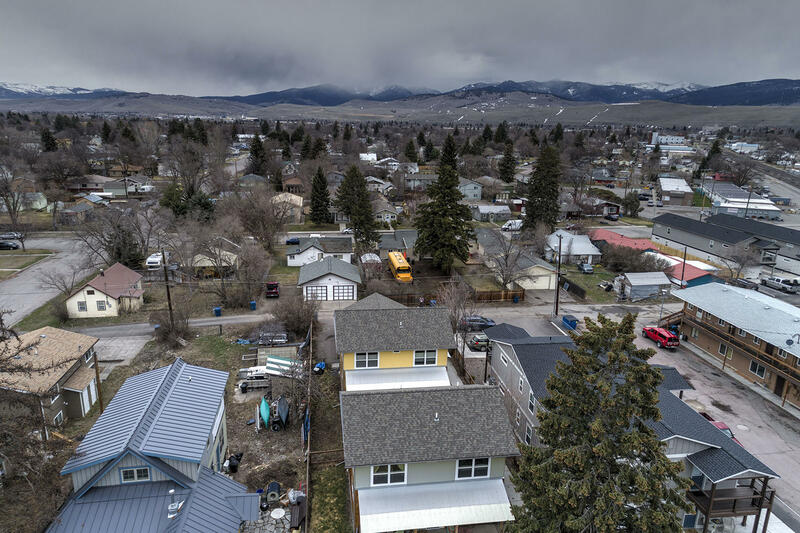 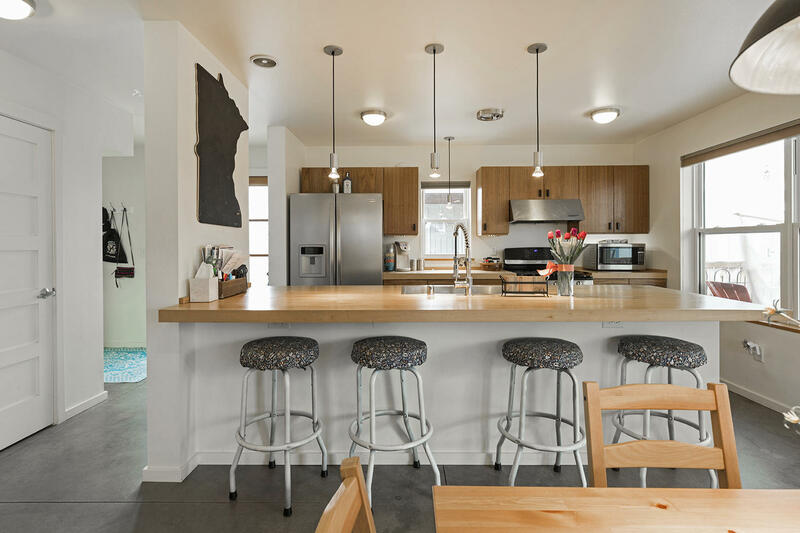 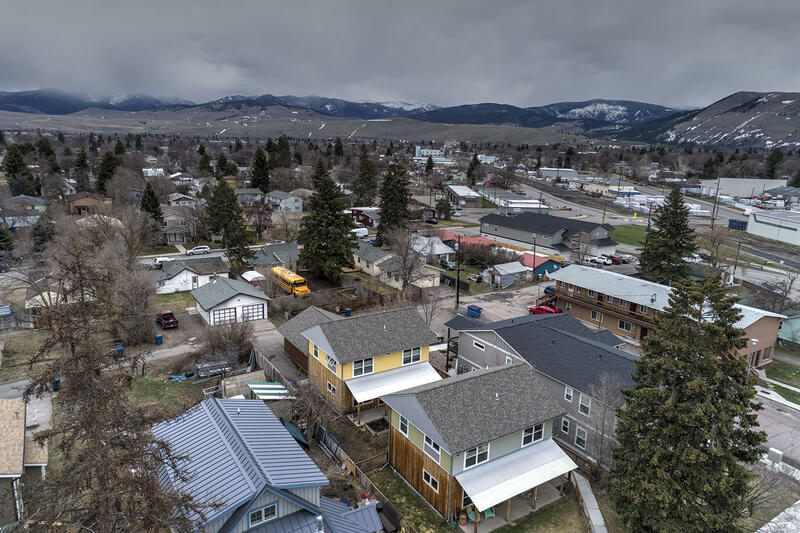 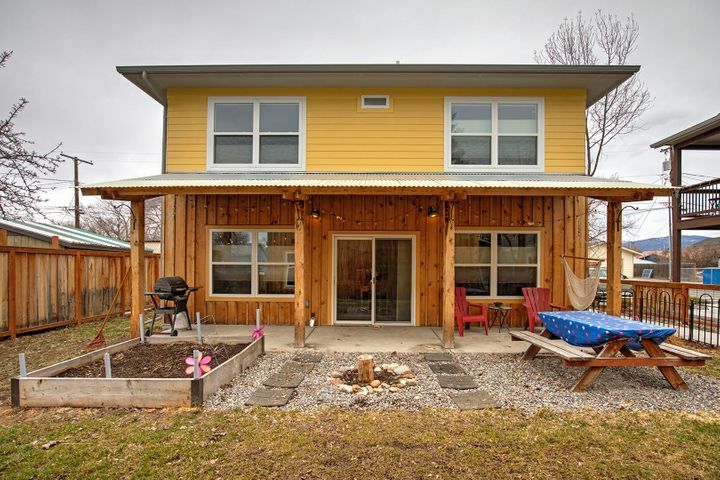 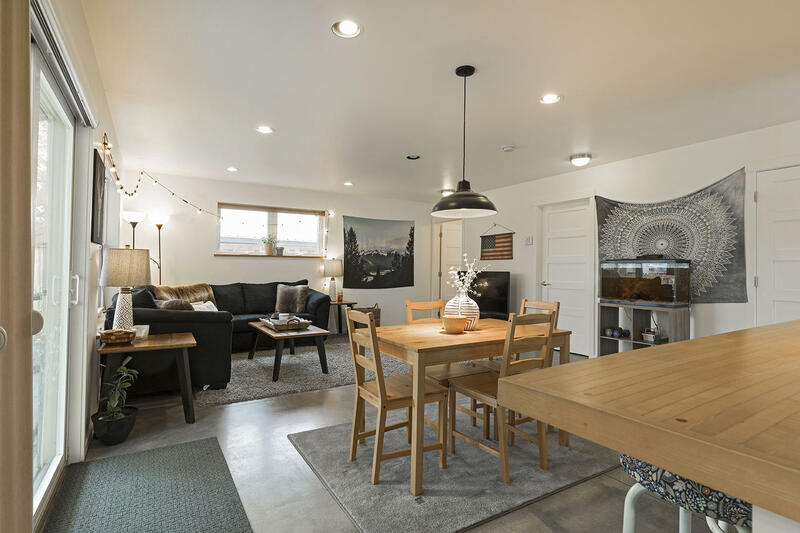 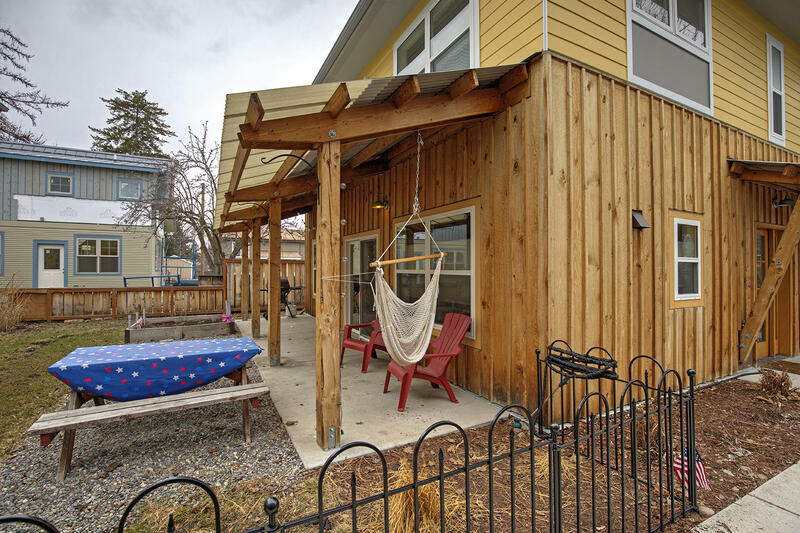 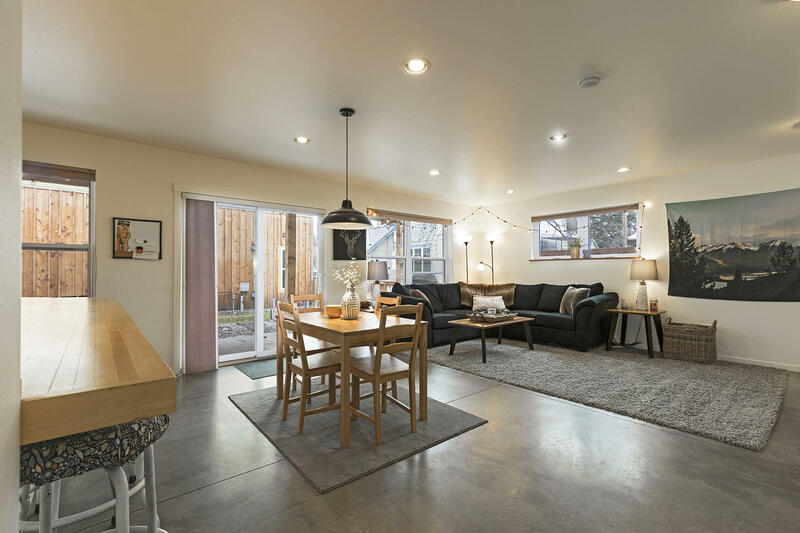 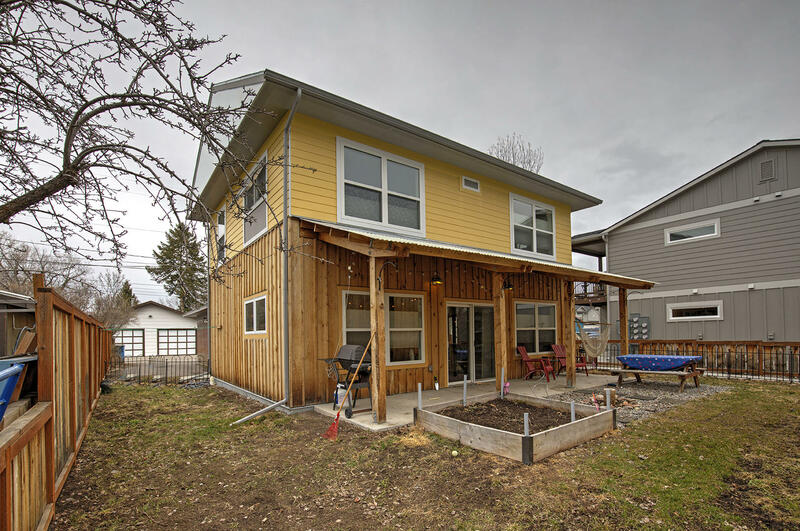 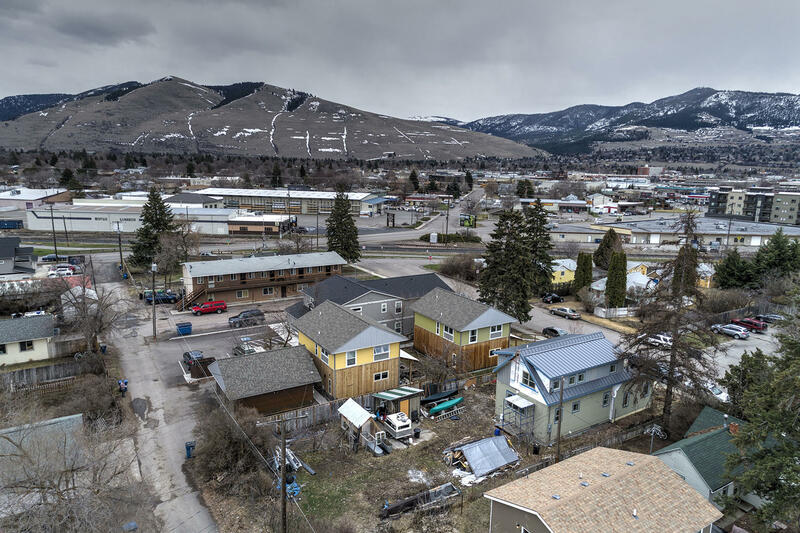 Modern stand-alone townhouse in Central Missoula! 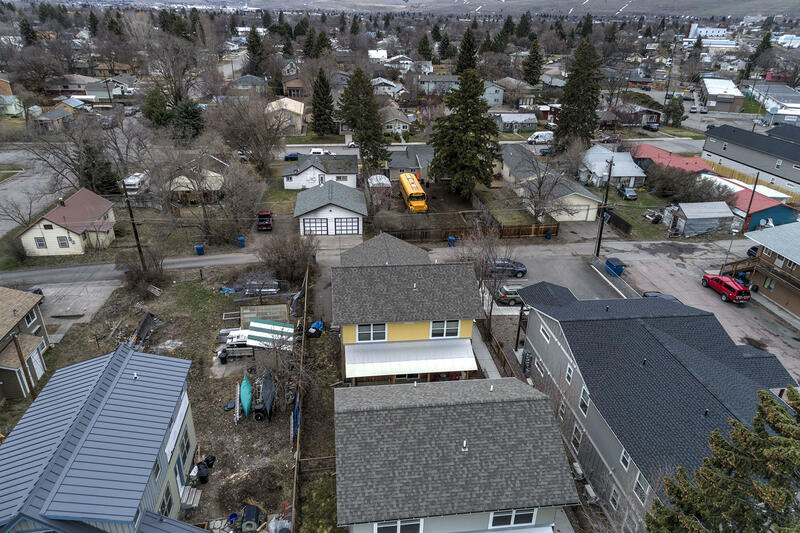 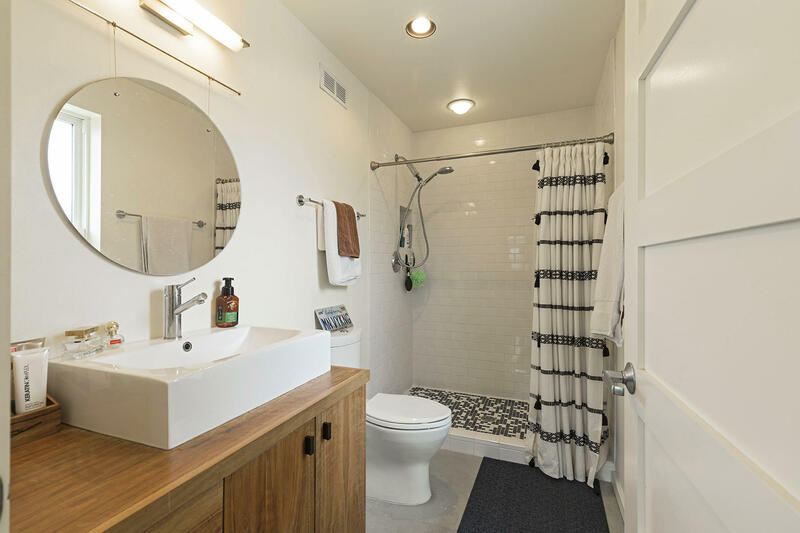 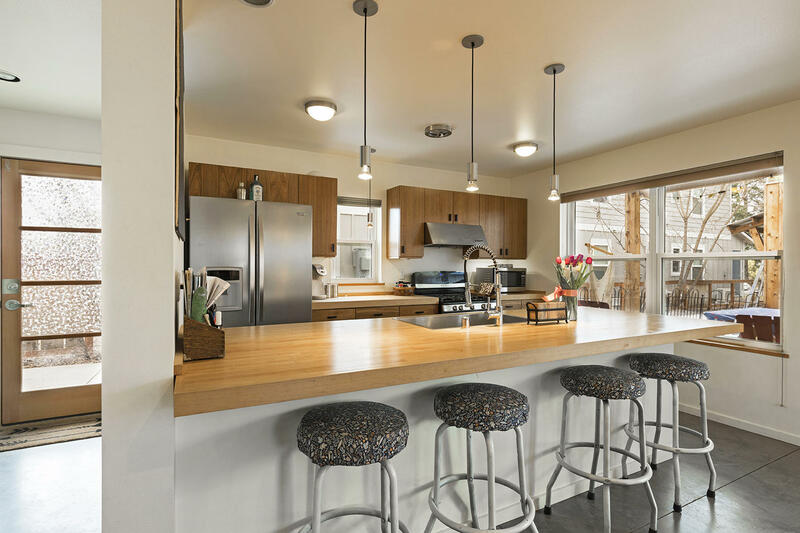 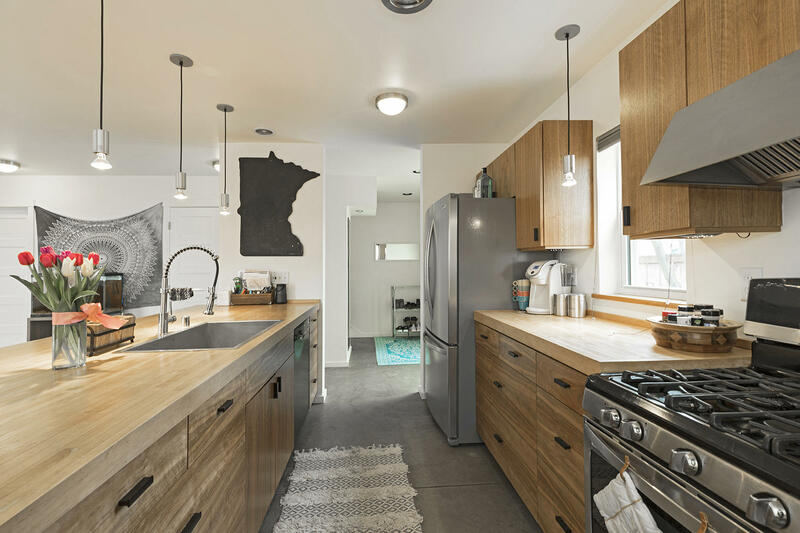 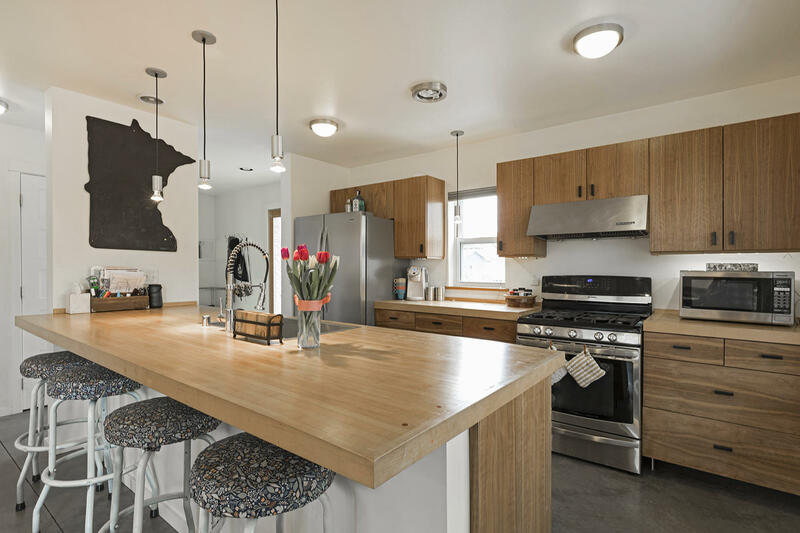 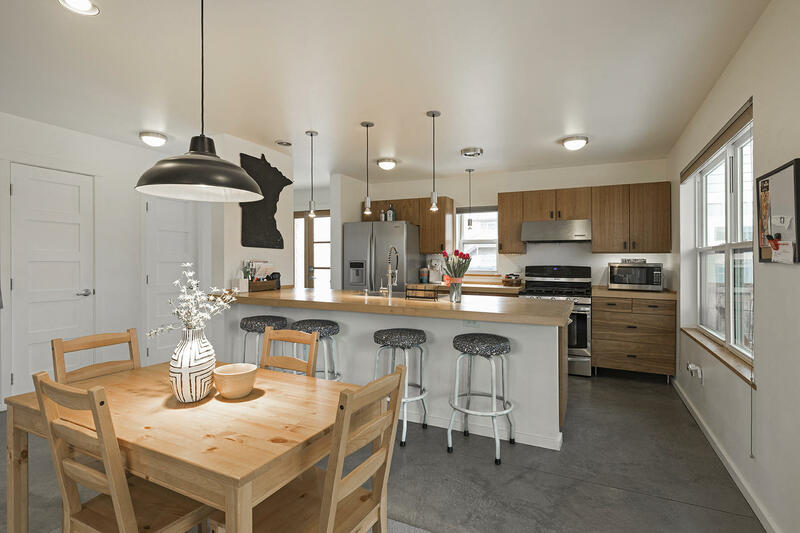 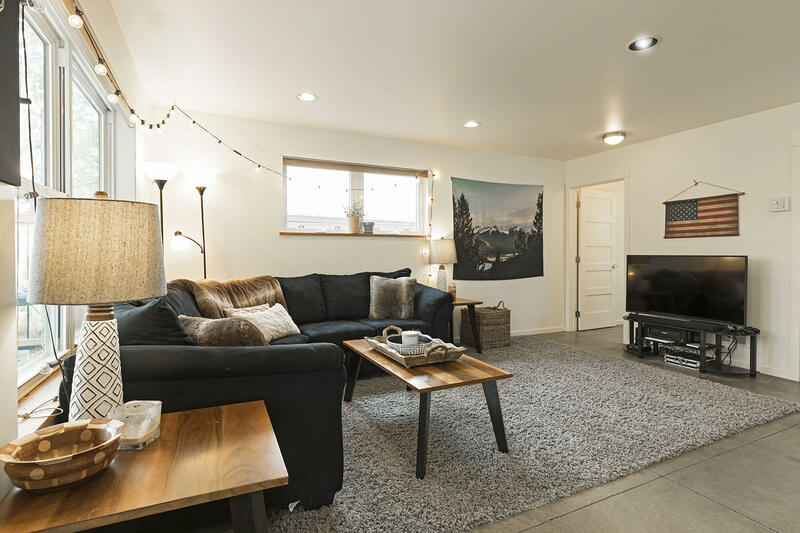 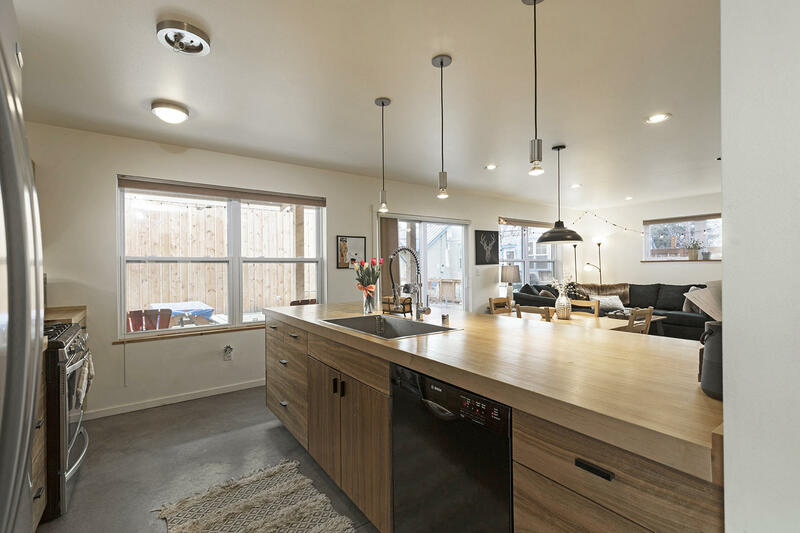 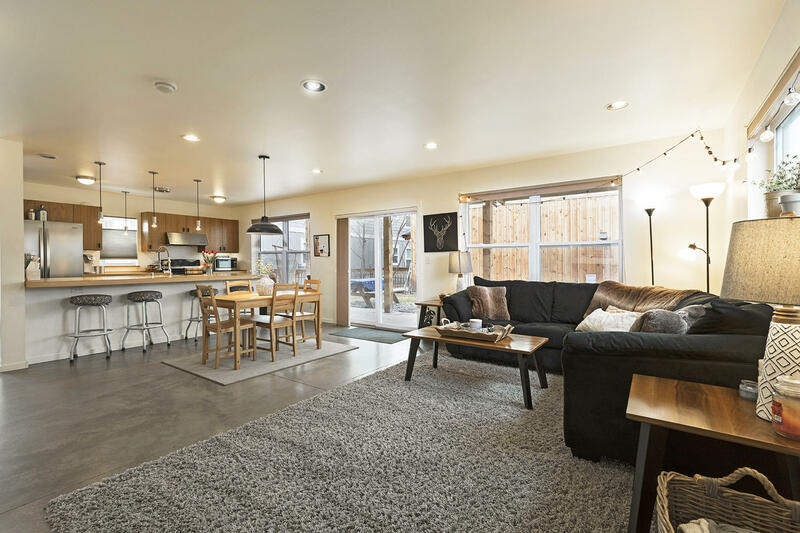 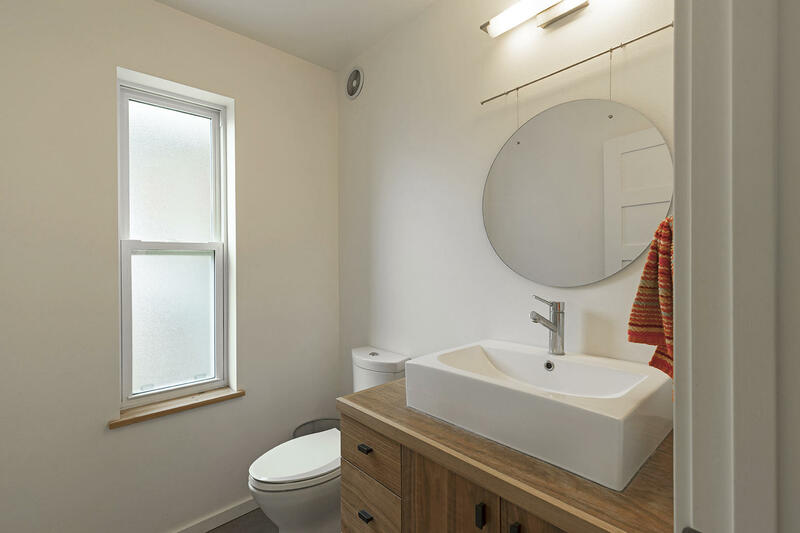 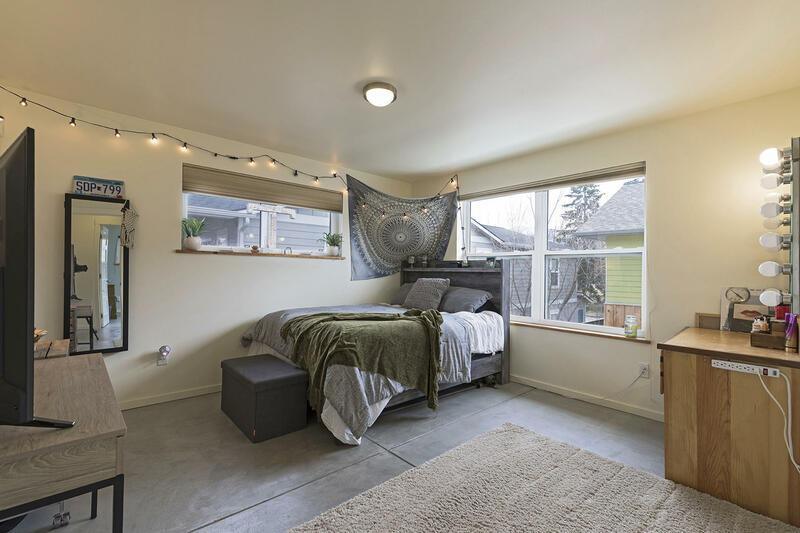 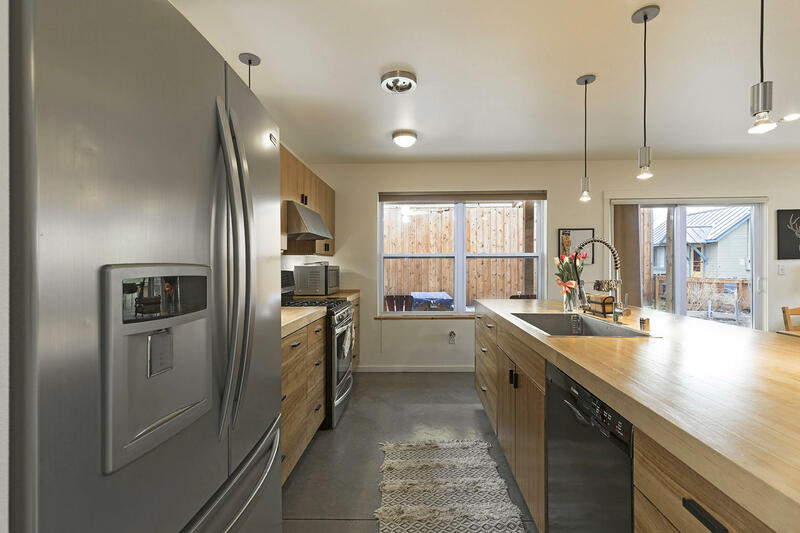 This home has an open floor plan and features concrete floors with radiant heat, kitchen with stainless steel appliances, reclaimed bowling alley countertops, pantry, and a half bathroom. 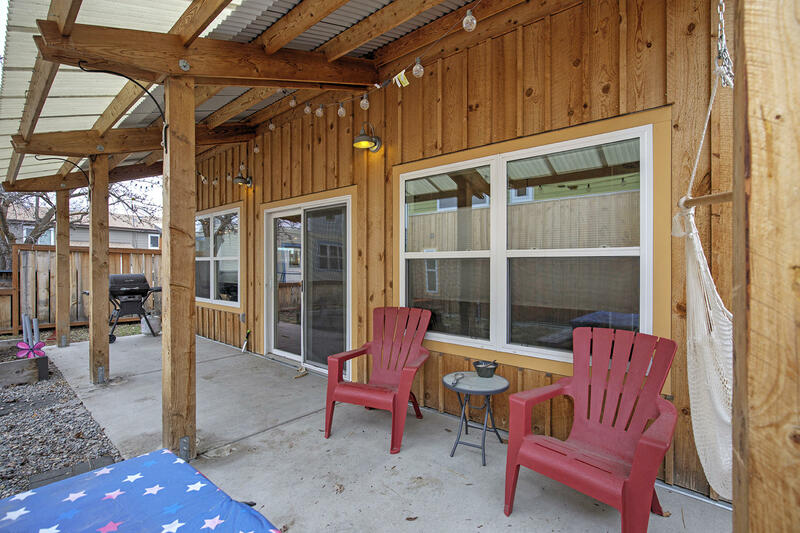 Sliding glass doors from the dining area provide access to the patio and fenced yard. 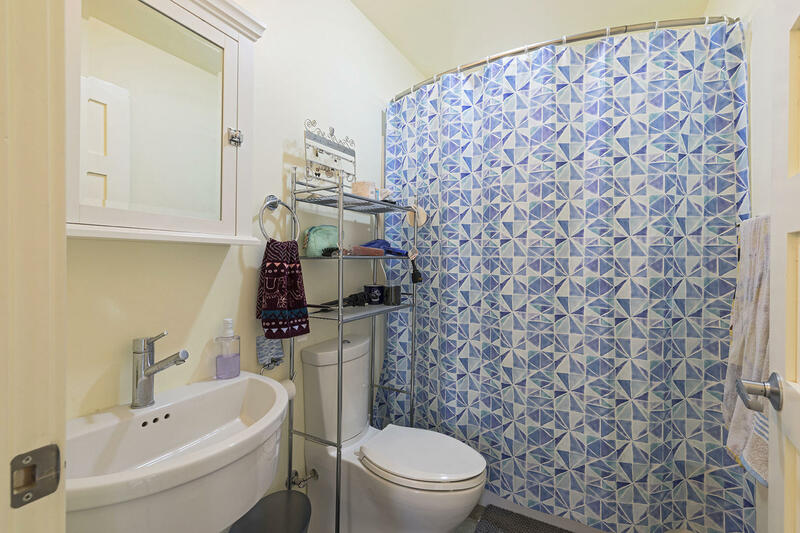 Upstairs includes a master suite with a tiled shower and walk-in closet with stackable washer/dryer, two additional bedrooms, and a full bathroom. 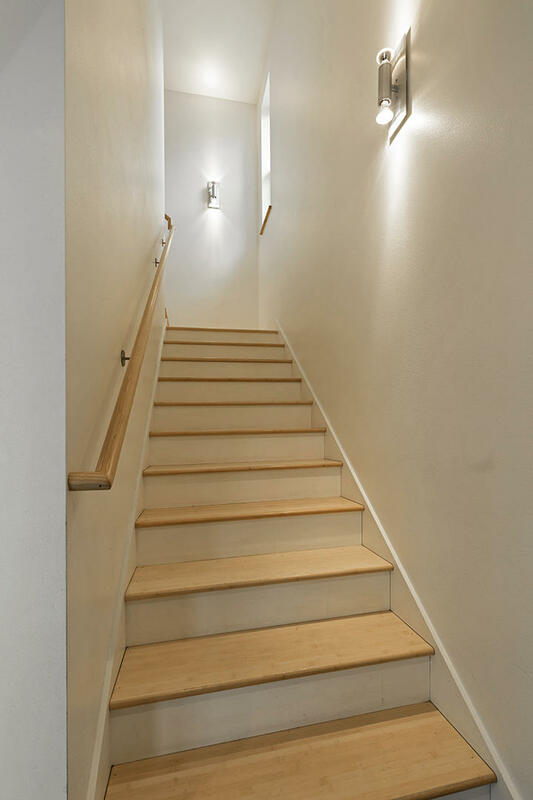 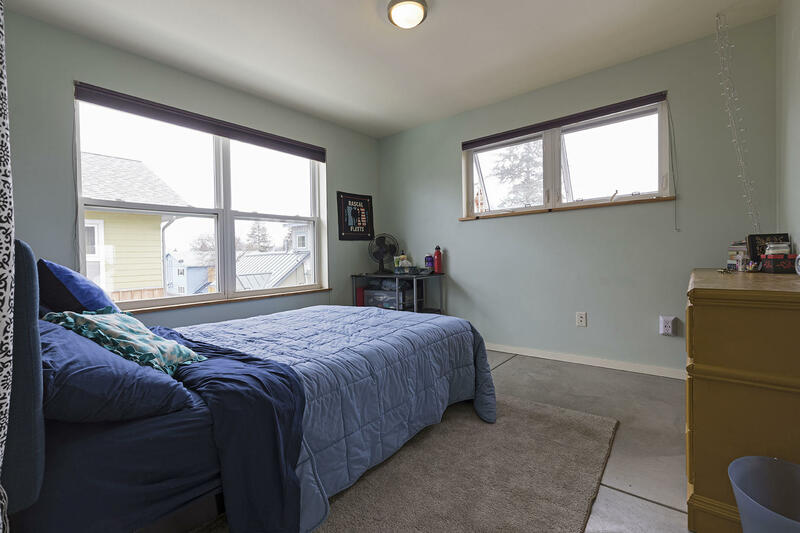 Home has newer window blinds throughout, updated light fixtures, bamboo stairs, and an air filtration system. 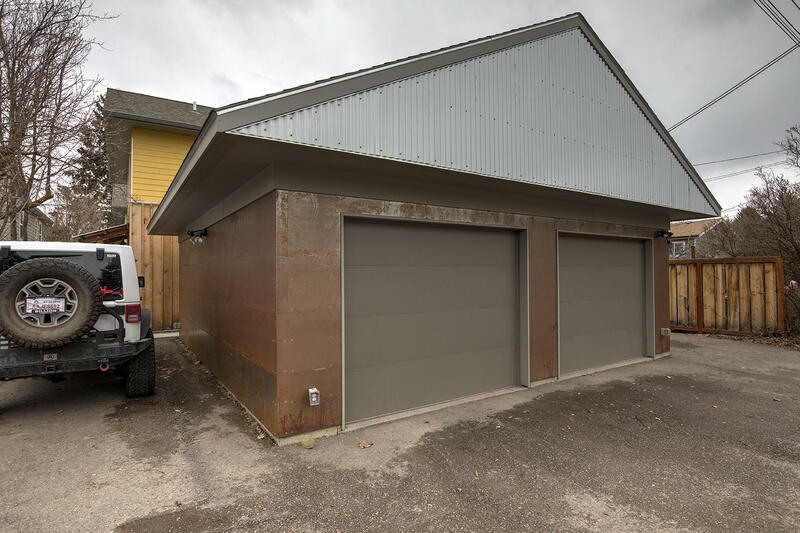 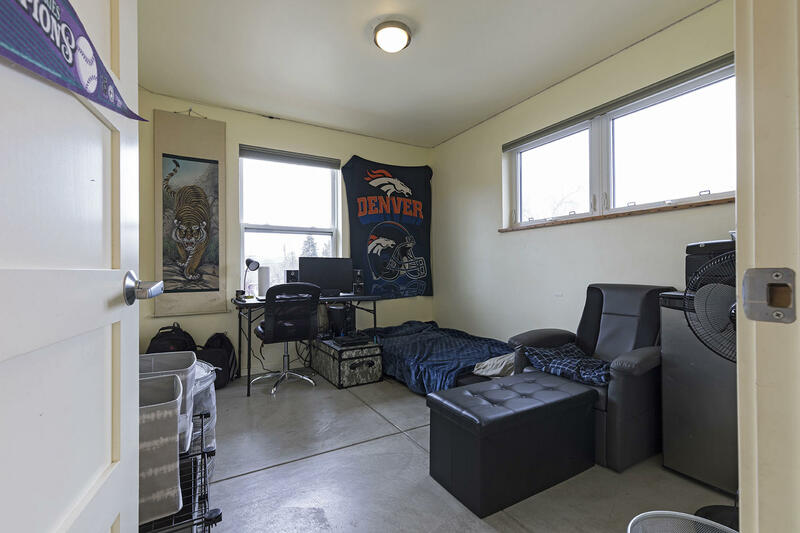 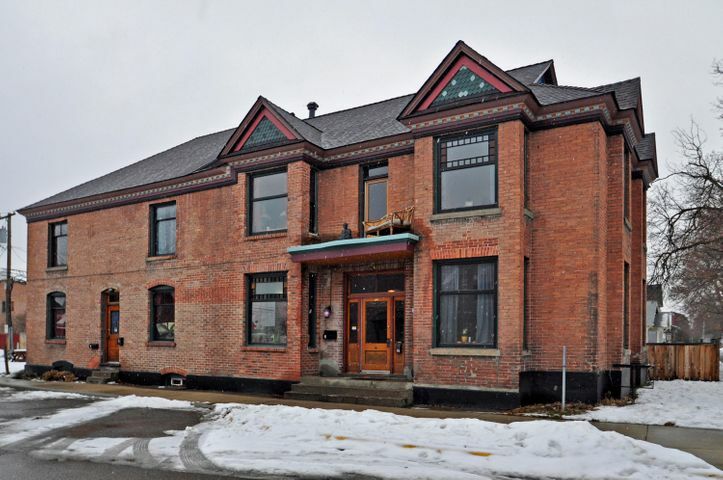 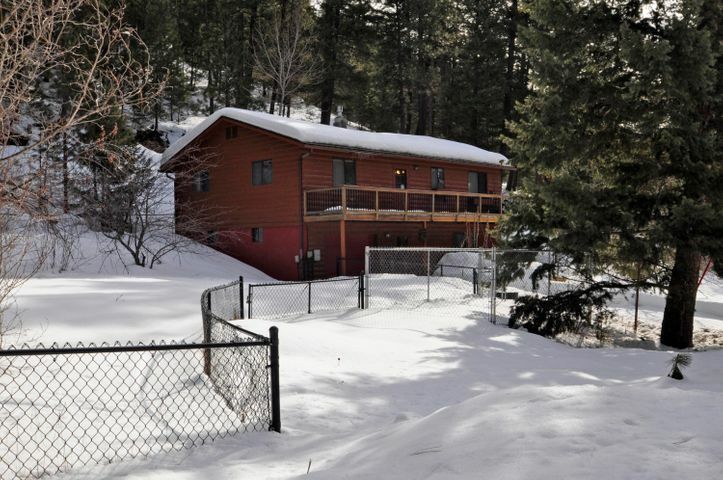 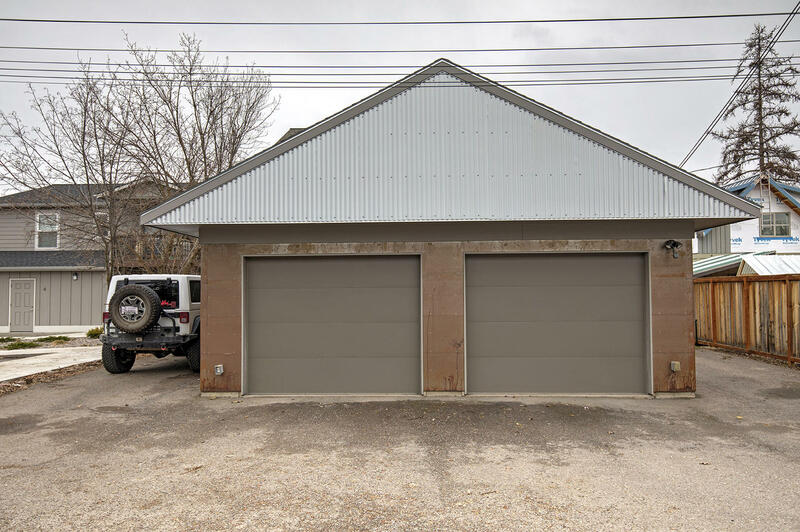 Outside, there is a detached single garage and an additional off-street parking space. 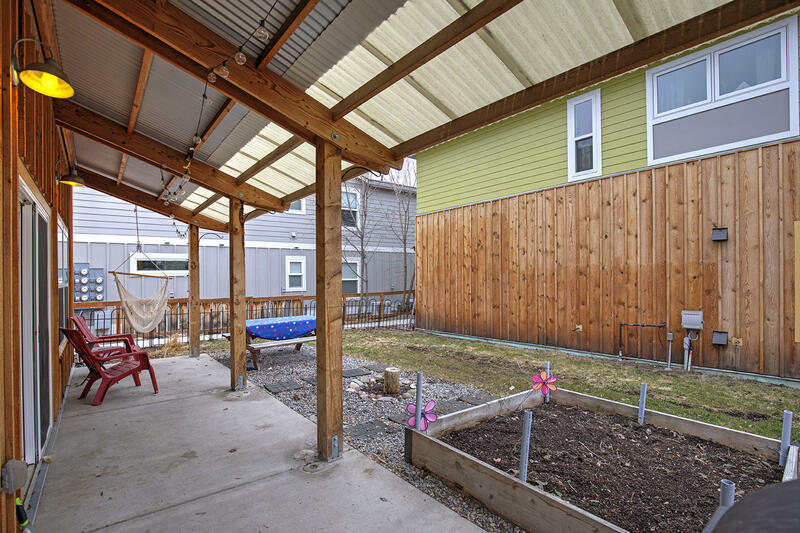 Lot has a fenced yard with covered patio and garden beds. 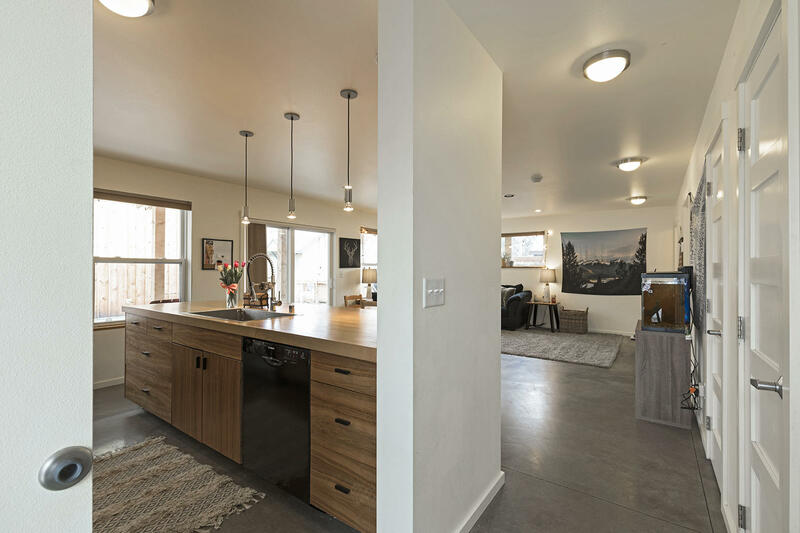 This move-in ready stylish townhouse is a must see! 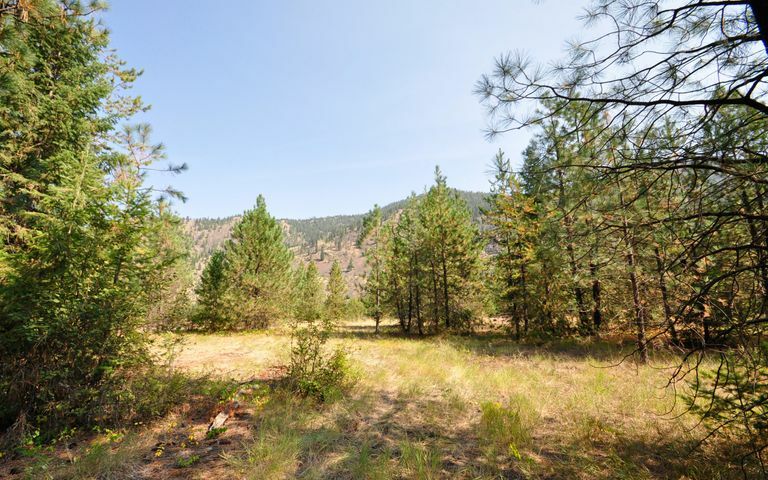 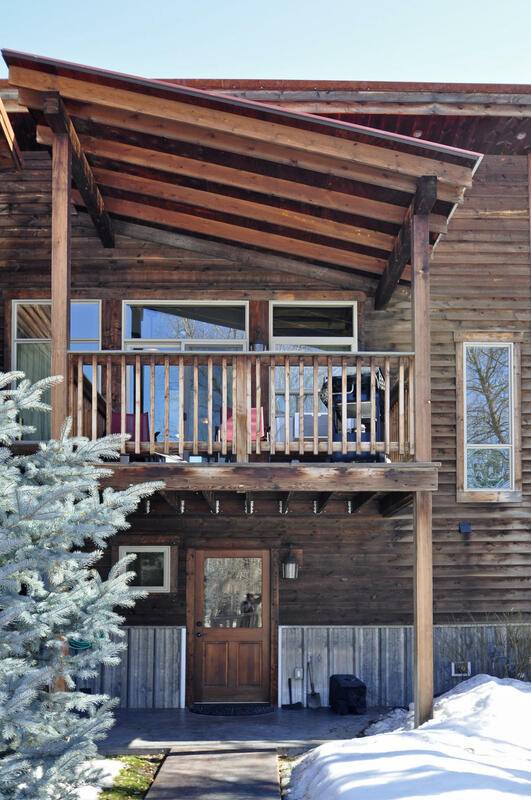 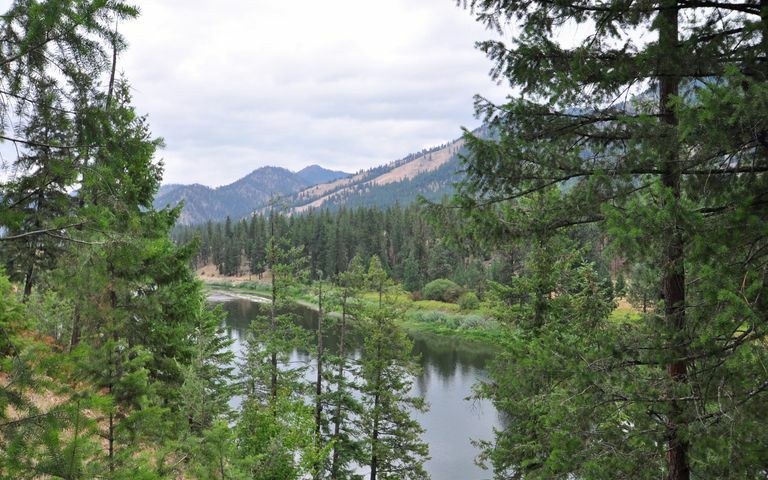 Call Cortney Perreten at (406) 370-3978 or your Real Estate Professional for a showing today!